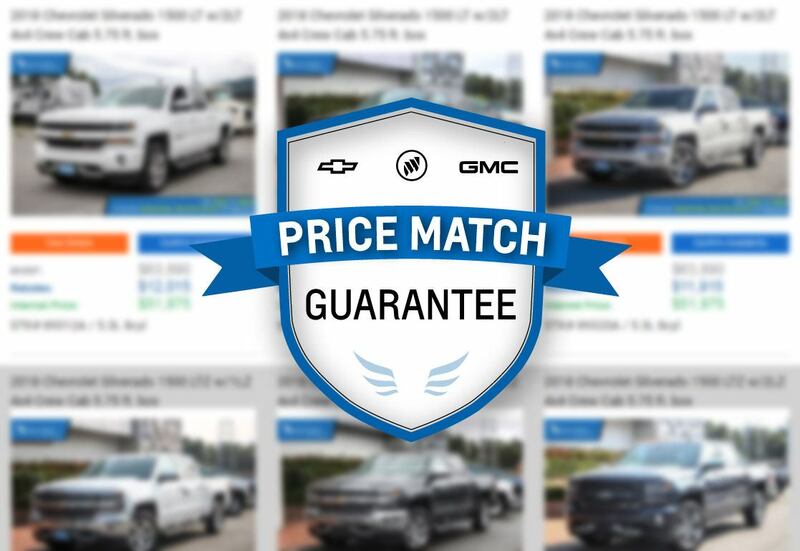 We are proud to be the first GM dealer to offer Price Match Guarantee on all New Chevrolet, Buick and GMC vehicles. If you are shopping for a new vehicle and happen to find an identical vehicle at a competitor for a lower price, present us the ad and we will Price Match it for you. We may even beat the competitor's price. It's that simple. Feel free to contact us for more information.